Fixed price data recovery (regardless of size). No charge if we fail to recover your data. A client for Barnes brought HP laptop to our repair centre for hard drive data recovery. The hard drive on this laptop had failed and he wanted to recovery the data from the faulty hard drive. 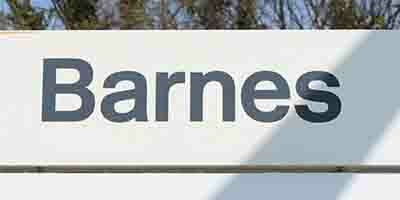 The Barnes client had lot of data on the hard drive including pictures, videos and documents. In addition to hard drive data recovery he wanted us to install new hard drive and Operating System in the laptop. People usually upgrade from Windows XP to Windows 7. But in this case the client wanted us to do totally opposite thing. This HP Workstation was a very high spec laptop with pre-installed Windows 7 Professional. The client had a CAD software that was only compatible on Windows XP. He had already attempted to install Windows XP but failed. Installing Windows XP was not a difficult job but the problem was to find and install all the compatible drivers for display, sound, wifi and usb etc. We managed to install Windows XP and sourced all the relevant drivers. The HP website did not have Windows XP drivers therefore we had to do some research and download third-party compatible drivers. The Barnes client got back all his hard drive data and the laptop started to run well with Windows XP and the client was over the moon. For more information about hard drive data recovery in Barnes, please call us on 0207 6100 500.